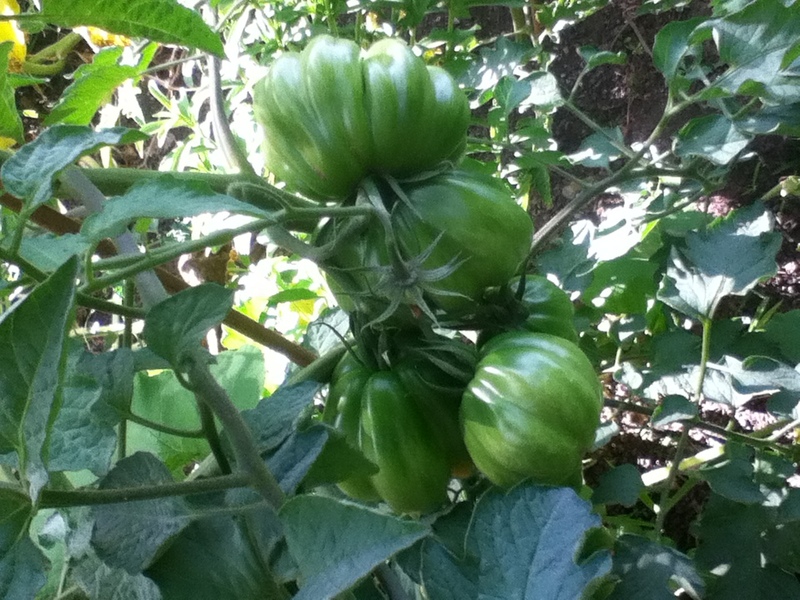 I Say “toe-MAH-toe”…so many tomahtoes | Food It Yourself! 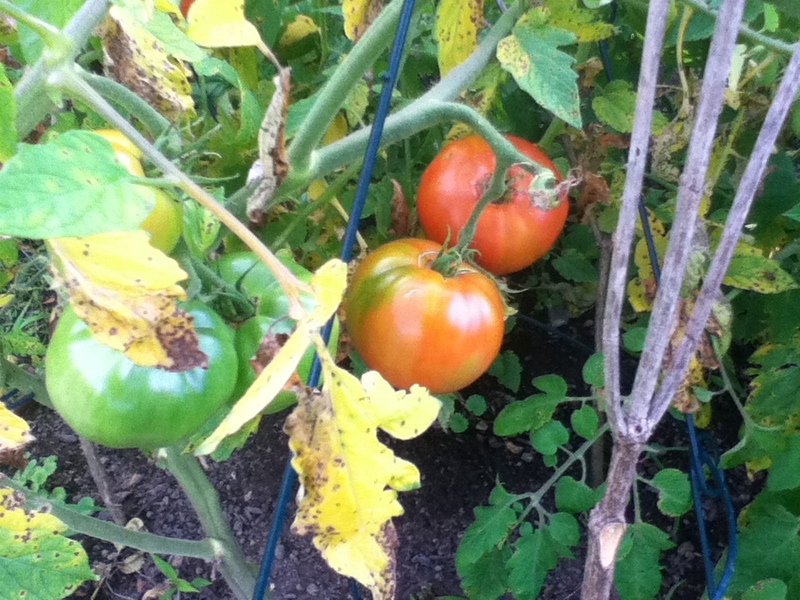 So, you may have noted in the last Food It Yourself blog entry I prattled on and on about tomatoes. It was almost as if I was trying to convince myself, as well as you, that tomatoes are a positive force in the universe. Why would I have such a case of Lycopersicon lycopersicum on the brain? Let me tell you a story. 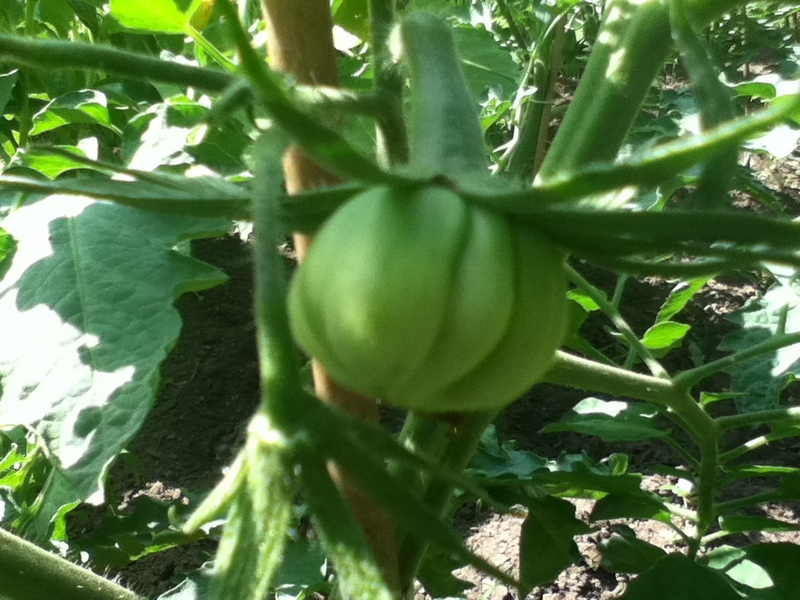 In the Food It Yourself garden for 2013, I planted some tasty heirloom variety tomatoes. The varieties were Pink Accordion and Purple Russian. We got plenty for eating and cooking and canning. 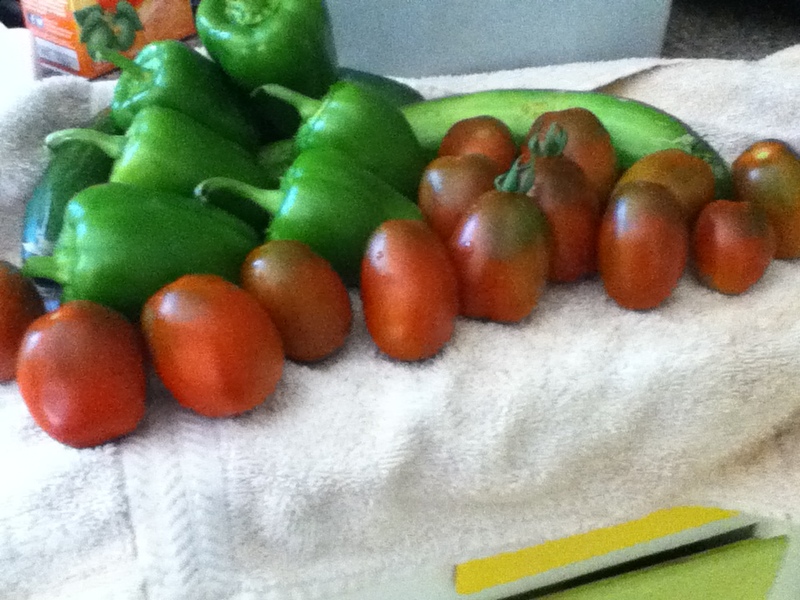 Here are some Purple Russian tomatoes in repose with bell peppers and cucumber. Yes, this is my driveway; yes we had that much snow. In March, I started seedlings just like last year and they sprouted just like last year and Mr. Food It Yourself dug up the garden just like last year. 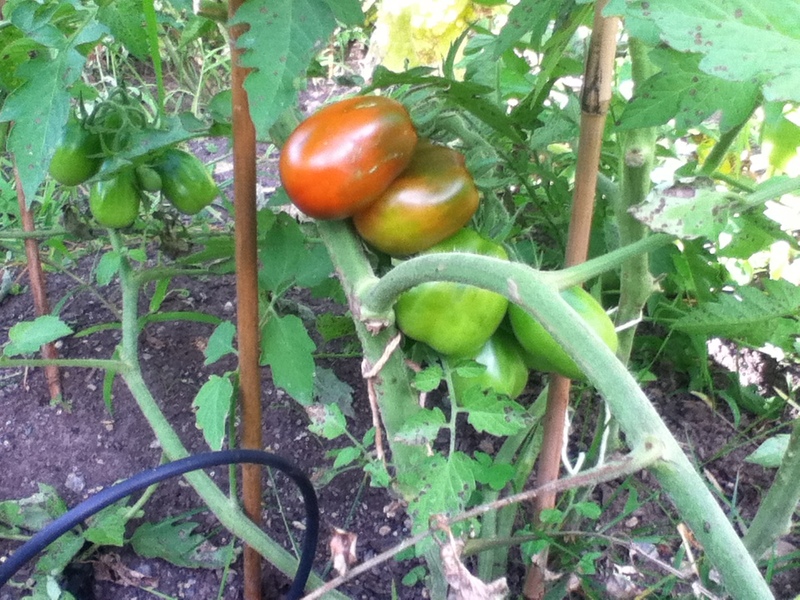 Roma plum tomatoes, and Big Boy tomatoes. I know what you are thinking. 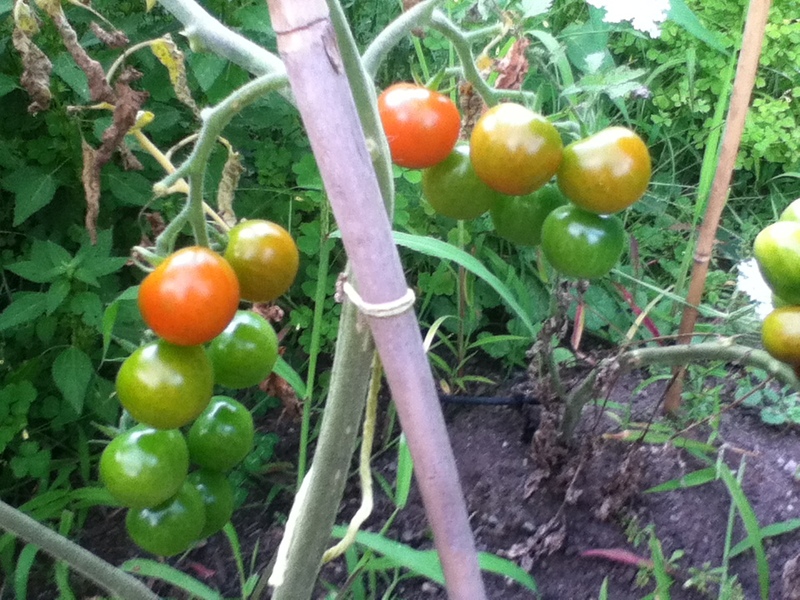 “Hey, those look very much like the tomatoes you grew last year!” Yes. Some of the plants I plowed into the dirt in October of 2013 had fruit on them. Some of the seeds in those fruits survived the long, horrible New England winter of 2013-2014. Some of those surviving seeds sprouted in place. There’s about 50 plants all together. I also have a great model of Darwinian Evolution. 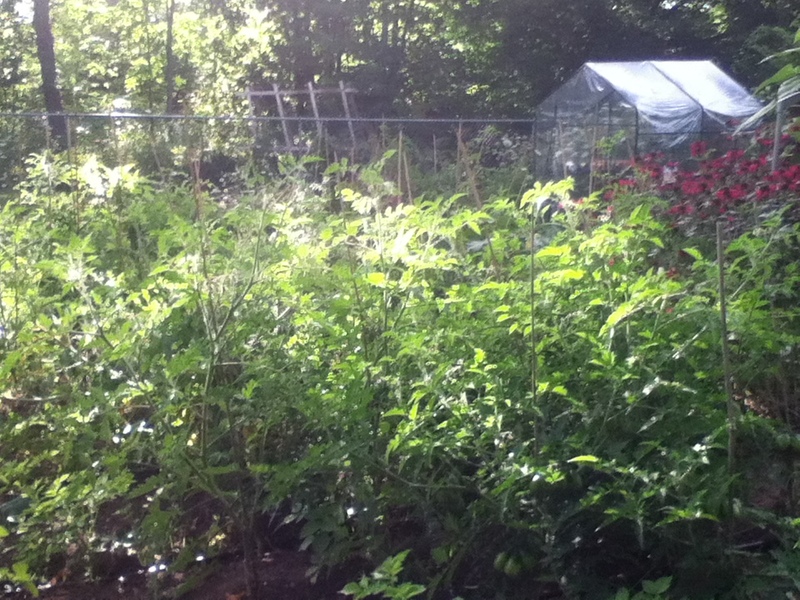 Clearly the tomato weeds, as I lovingly call them, carry the strongest, most cold resistant tomato genetics. My theory, and I plan to test it, is that if I keep letting seeds winter over I will eventually develop a tasty and frost-proof tomato. I’ll keep all of you DIYeters posted as I develop this Supermato. In the meantime, I’m looking for some good tomato recipes. ← You Say toe-MAY-toe, I say YES!